We are now enrolling for our 2018 Ninja Warrior Summer Camps! 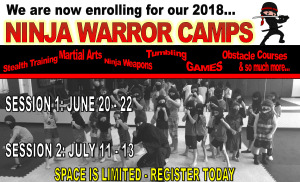 We are NOW REGISTERING for our 2018 Ninja Warrior Summer Camps! Session One will will be held June 20 - 22 and session two will be held July 11 - 13. The camps will be held from 9:00 a.m. - 3:00 p.m. 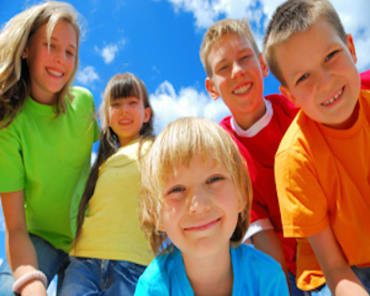 The camps are open to kids ages 5-13. 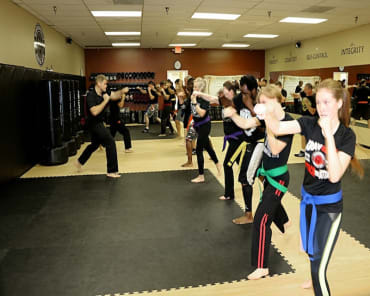 Your child will train like a NINJA WARRIOR, navigating obstacle courses, playing ninja games, learning stealth strategies, basic tumbling and ninja weapons. ENROLL NOW as space is limited!